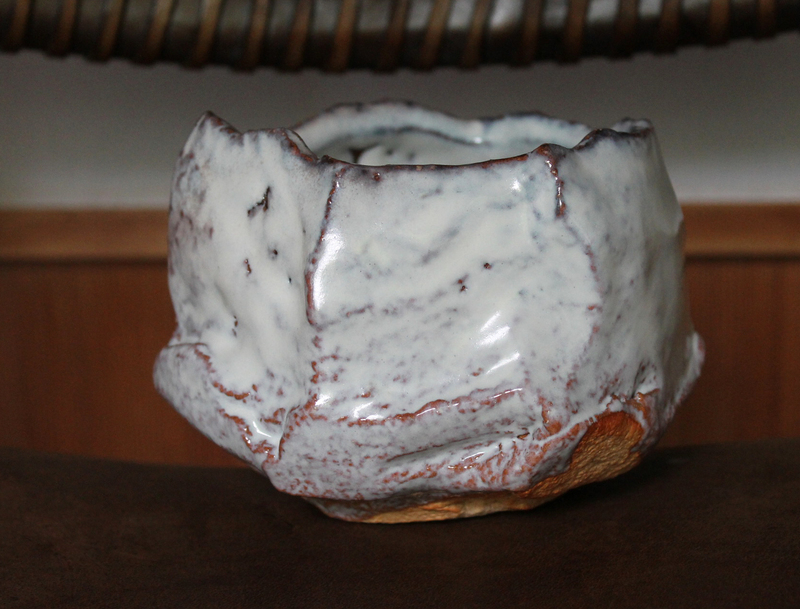 Here is a recently-fired Hagi chawan by Kaneta Masanao (b.1953). 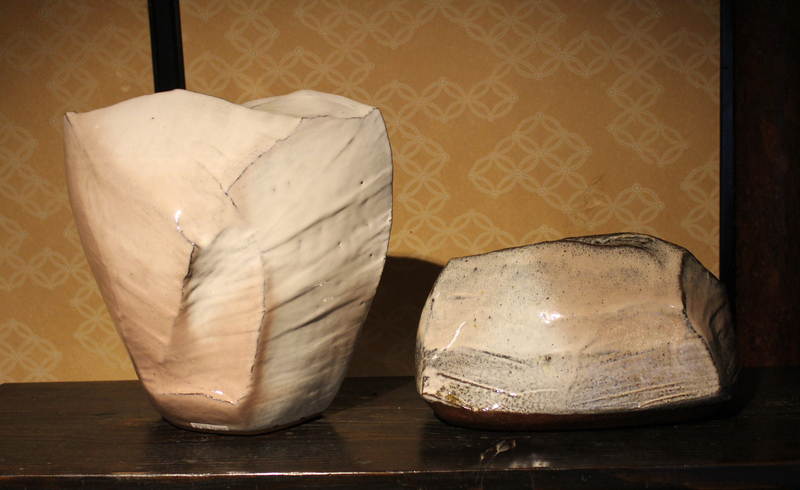 One of the most influential Hagi ‘potters’ today (as many know), Kaneta is an 8th-generation Hagi artist; in a nutshell, he has given the traditional Hagi tea world a very sculptural feel with his kurinuki carved out method and boldly-cut forms. 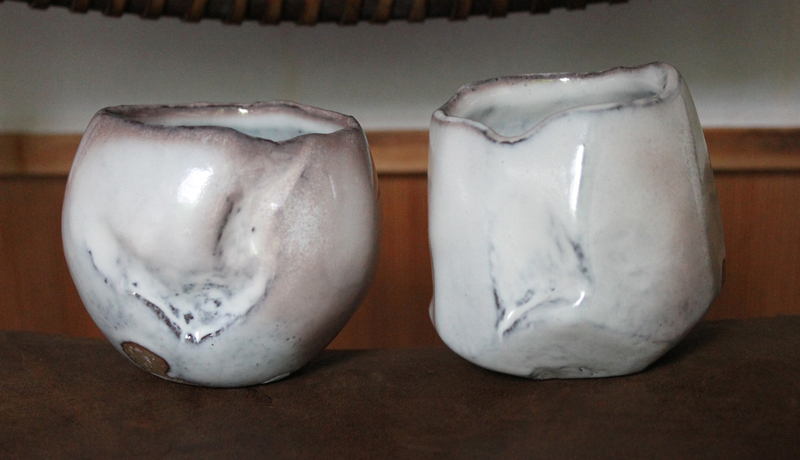 Some are mountainous cuts in creamy white glazes, while other pieces are more rounded Chojiro-esque (the founder of Raku) with a mottled blue ash glaze. 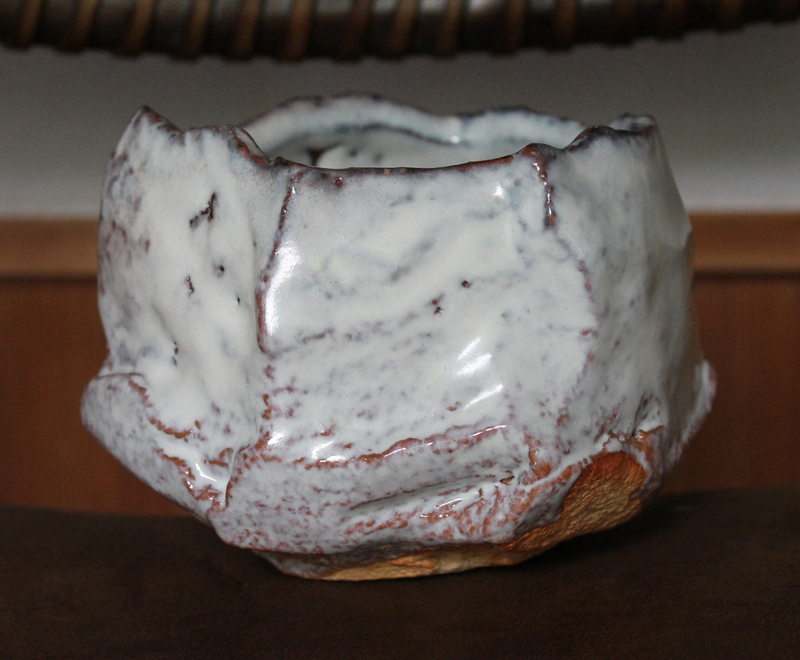 He also gets a wonderful pink “yohen” kiln effect that contrasts well with the white Hagi glaze. 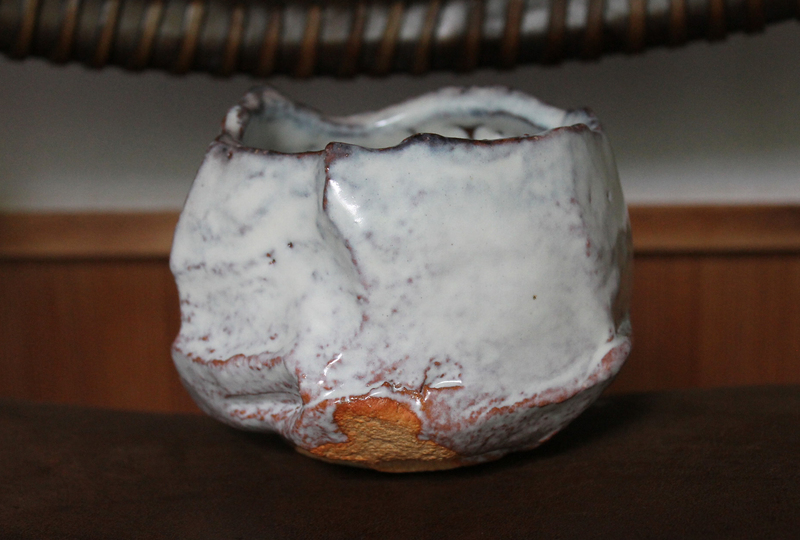 Whatever Kaneta does is a grand statement in clay, no matter the size, and has truly given the Hagi Tea world a whole new feel. 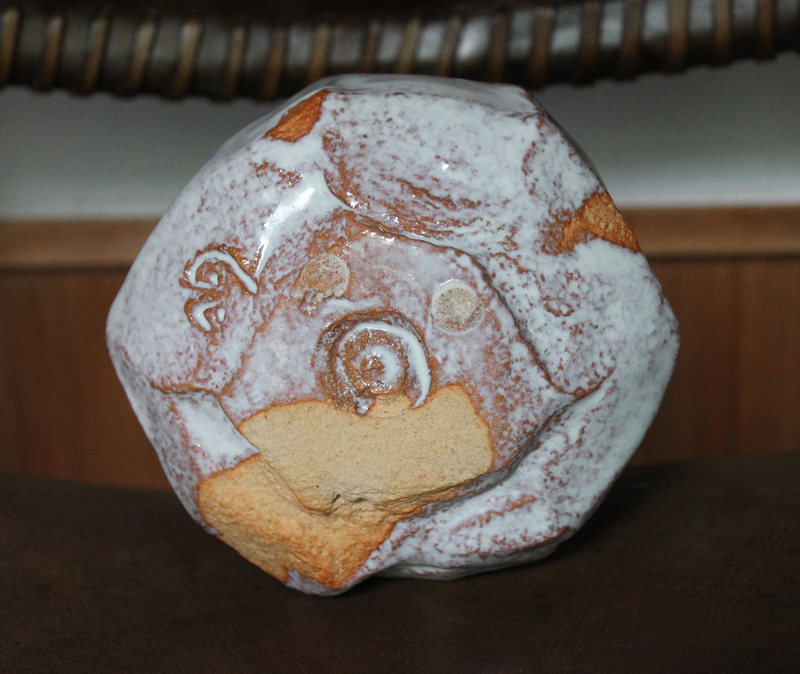 He has been in many museum exhibitions here in Japan, including the 400-year Hagi retrospective at the Suntory Museum (2001: http://www.e-yakimono.net/html/hagi-er.html) and also a major group exhibition at the Ibaraki Prefecture Ceramic Art Museum (2003:http://www.e-yakimono.net/html/ibaraki-museum-pt.html) –the list goes on. 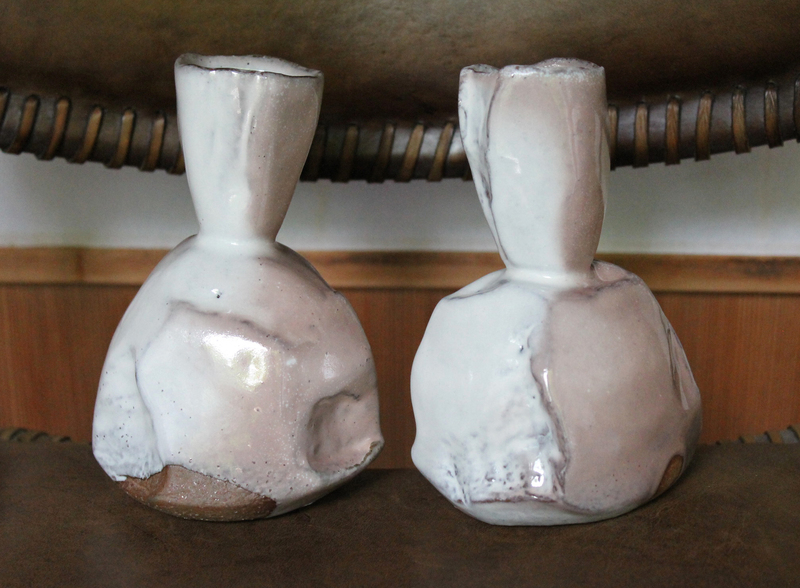 So does Kaneta’s works in public collections including the National Museum of Modern Art. 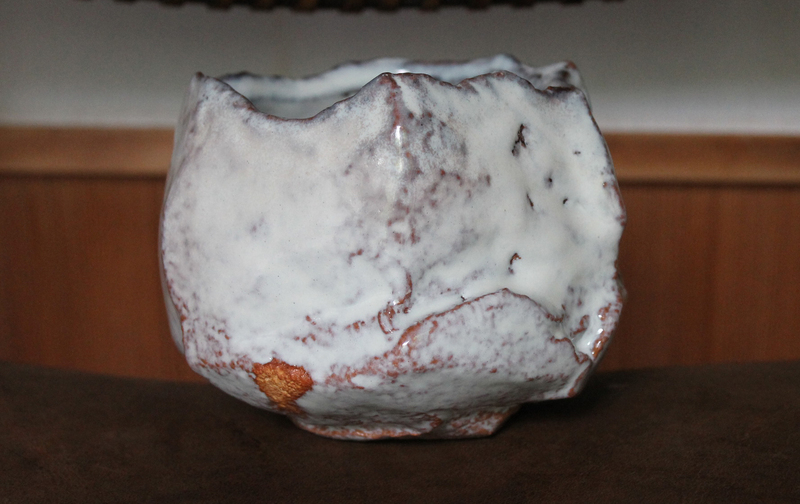 Tokyo, Yamaguchi Prefecture Museum, Gifu Modern Ceramics Museum, and the Brooklyn Museum, among many others. 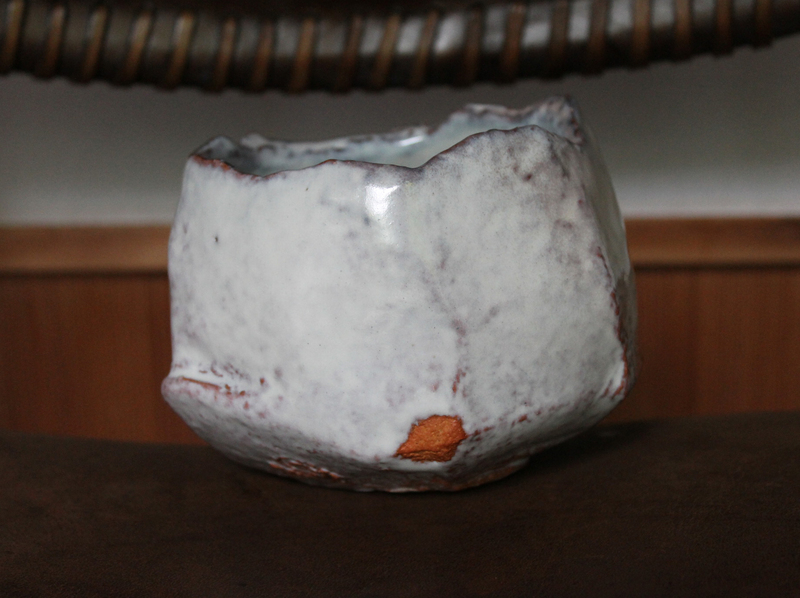 This new chawan has a classic Kaneta gentle yet rugged temperament and we especially like the glaze tones and kodai-foot ‘clay flavor. 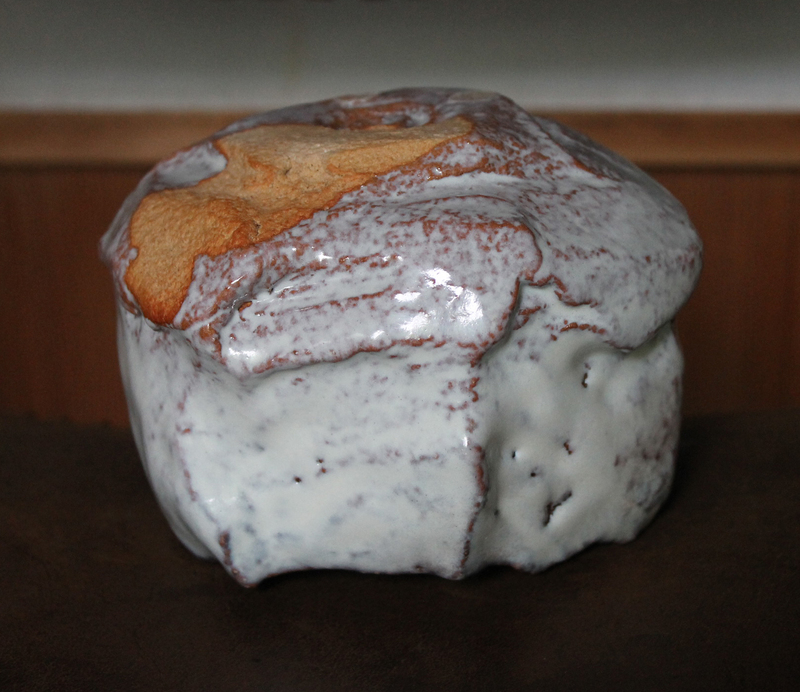 In perfect condition with a signed box, 9.7cm.tallx13-14cm., signed on base. 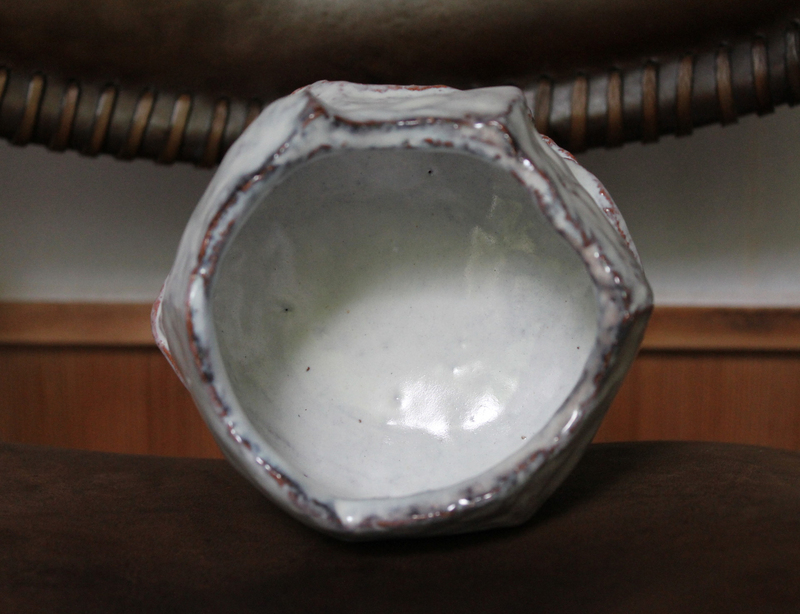 Details on other Kaneta works gladly sent on request.